Two new handsets are listed on the official site of iBall. Dubbed as Andi 5.5H Weber 4G and Andi 5Q Gold 4G, these are expected to be launched by the company soon. The pricing details are not yet revealed. New Delhi: iBall Andi 5.5H Weber 4G comes with 5.5 inch display with 1280 x 720 pixel resolution. Type of display is IPS. 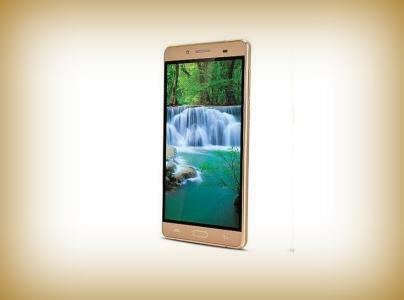 The handset is powered by quad core processor whose clock speed is 1 GHz. The processor is coupled with 1 GB RAM and the internal storage provided is 16 GB. There is facility to expand memory up to 32 GB via micro SD. It has 8 megapixel camera at rear and there is also 5 megapixel. Camera features are face beauty function, panorama mode, multi angle view mode and face detection. It comes out of the box with Android 5.1 Lollipop operating system. Connectivity features of the device include WiFi, GPS, Bluetooth and 4G. There are also proximity and accelerometer sensors. Battery under the hood is 2680 mAh capacity. iBall Andi 5Q Gold 4G features 5 inch display with pixel density of 293 ppi. Except this, Andi 5.5h Weber and Andi 5Q Gold share the same specifications. The details of RAM of Andi 5Q Gold is however not mentioned in the listing. This entry was posted in Launches, Tech on March 12, 2016 by Rakesh.